Homes and property that are listed for sale must go through an assortment of legal procedures to guarantee the institution of a sound pricing model in the real estate market. If the system allowed an individual to put a residential property for sale without partaking in these matters, there would be no model to follow; the market would turn into an auction and homes would constantly sell for more or less than their true worth. Thus, to properly gauge worth and find a fair market value for your home, you must go through numerous real estate processes. The first, and arguably most important process to properly sell your residential property is the assessment process. Similar to many legal processes or issues in the United States, the process to assess one's home value is greatly varied depending on jurisdiction or state. The processes and laws associated with the assessment process may differentiate but the goal of the process is universal--to properly gauge the true value of your property so that a delivery of adequate funds is generated through your sale. To do this, a real estate company or town official will view the property, and evaluate all improvements made on the land. This process is accomplished by establishing the land's true value, and analyzing sales of comparable land within the same area. 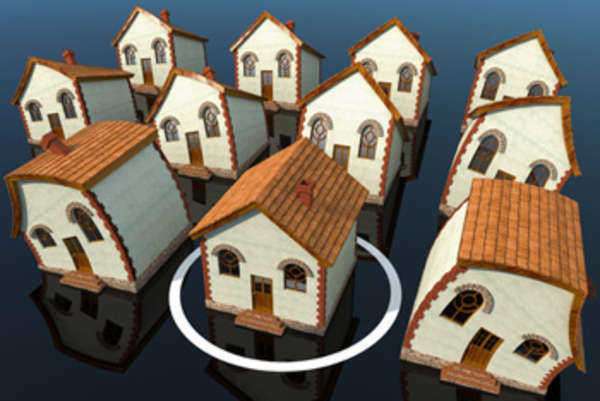 If no recent sales have been made in your area, the assessment process will use other appraisal methods. Once the appraised value has been established the homes and property in question must be measured for their property tax level. The amount of property tax depends on the strength of the and cost of the state and local government. The quality of public education, the operating costs of roads, parks, hospitals, law enforcement and other public services will be weighed into this equation. The state legislature, once the property tax has been determined, will set a statutory levy limit on all residential property for sale.